On Tuesday, April 28th, Stan Rogal will be reading at The Art Bar Poetry Series along with Patrick Friessen and A.F. Moritz. The event will take place at the Black Swan (154 Danforth Ave) at 8 PM. The Art Bar Poetry Series, which is recognized as the longest running poetry-only reading series in Canada, holds weekly readings and features both emerging and established poets. Attendance is free, though voluntary donations are appreciated. 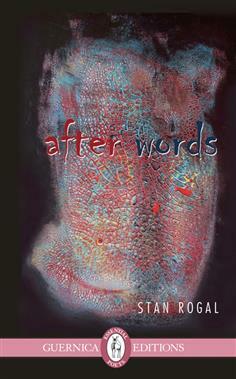 Stan Rogal will be reading from After Words, his most recent collection of poetry, published by Guernica Editions in 2014. The objective of After Words is to offer a tip of the hat to people whose lives and/or works have influenced the author. Each piece is forwarded by a short background story as well as an epigram which provides some descriptive entry and flavour. The key was to construct these pieces in the author’s own style and voice and not fall into simple mimicry. Many names have been encrypted into the pieces as fractured homonyms, a sort of pun for the astute reader. Stan Rogal was born in Vancouver and has resided in Toronto for 25 years. His work has appeared in numerous magazines and anthologies in Canada, the US and Europe, some in translation. He has published 19 books, including four novels, four story and 11 poetry collections. He is also a produced playwright and the artistic director of Bulletproof Theatre. Tagged with After Words, Art Bar Poetry Series, Poetry, reading, Stan Rogal.